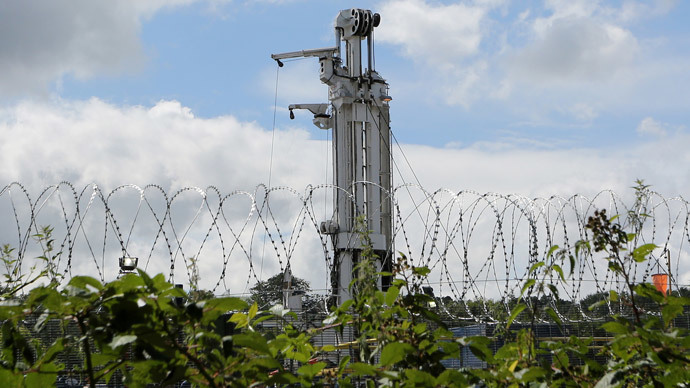 The presence of a radioactive, cancer-causing element has increased in parts of Pennsylvania where hydraulic fracturing, or fracking, has been on the rise in recent years, according to a new study. Researchers with Johns Hopkins Bloomberg School of Public Health said this week they’ve discovered a correlation between radon levels and fracking across the Keystone State. The team failed to directly blame the controversial natural gas extraction process on the increase in radon, an odorless, radioactive gas, but said the surge began around a decade ago when fracking sites starting springing up exponentially. The group obtained statistics covering 2 million different radon tests done between 1987 and 2013 from 800,000 buildings across Pennsylvania, then evaluated the concentration levels of the element in relation to factors including weather, geology and the development of “unconventional” drilling wells, including those used for fracking. Concentration levels were higher in homes located near those wells, according to the report, and 300,000 test locations returned results that exceeded a standard set in place by the United States Environmental Protection Agency (EPA). “We’re not convinced this industry is playing a role [in increased radon levels],” study leader Brian S. Schwartz, MD, an environmental health professor at the Bloomberg School, told ThinkProgress. “All we’re saying is these findings provide no reassurance that the industry is not playing a role. Pennsylvania buildings that rely on well water had a 21 percent higher concentration of radon than those using municipal water, according to the new report, and test sites in townships —where most fracking occurs — had a 39 percent higher concentration of radon than buildings located in cities. "By drilling 7,000 holes in the ground, the fracking industry may have changed the geology and created new pathways for radon to rise to the surface," added Joan Casey, a colleague also involved in the report, who emphasized that “there are a lot of potential ways that fracking may be distributing and spreading radon." "One plausible explanation for elevated radon levels in people's homes is the development of thousands of unconventional natural gas wells in Pennsylvania over the past 10 years," Schwartz explained to Phys.org this week. "These findings worry us." Indeed, the recent findings lend extra credence to the concerns raised already by environmentalists who have raised questions about the rise of fracking and the possible long-term repercussions. The process involves injecting gallons of solution into the earth in order to extract natural gas from rock, but is still relatively new and not federally regulated. Instead, local authorities decide the rules for fracking sites, and voters in California, Ohio and Texas voted last year to ban the technique within state limits. “This ought to be treated as if it's something, like nanotechnology, which is a new thing that needs to be done carefully," Dr. Bernard Goldstein, former dean of the University of Pittsburgh’s School of Public Health and a former EPA official, told NBC News.